From Brownsville, Texas, to the Florida Keys, Gulf boaters will anchor in bays, bayous, coves, and marinas to see and hear the fireworks marking the signing of the Declaration of Independence. Boaters know they will get to see the rockets’ red glare from above and below, in the sky and in the reflections on the water. 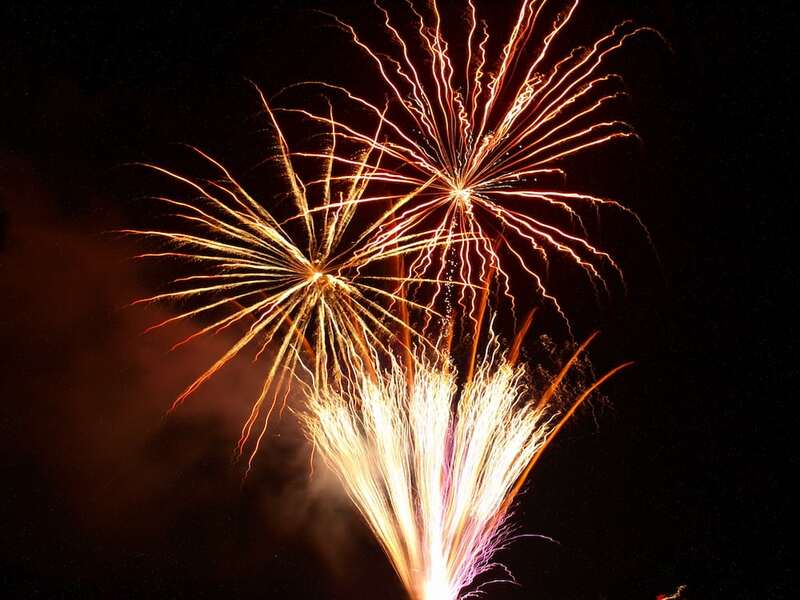 Corpus Christi, Texas, is usually the first with its four-day “Big Bang” celebration starting June 30th and ending with the July 4th fireworks display. (you might hear the starter’s pistol), the Mayor’s Big Bang Celebration Parade and when it’s dark, the light show and fireworks glow for thousands of spectators on the hard and for boats anchored in friendly Corpus Christi Bay. And there’s a patriotic bonus: Some of the fireworks are launched from the famous WWII aircraft carrier USS Lexington. 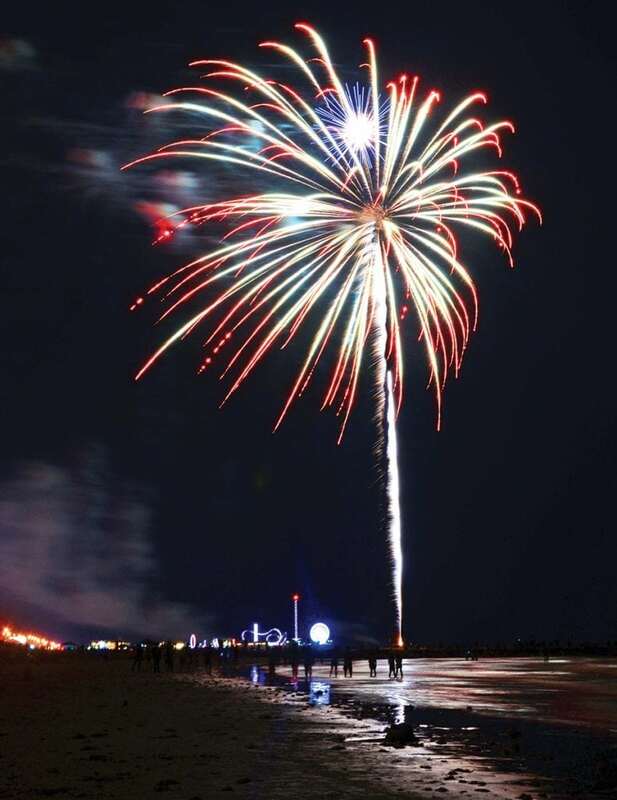 Over in Galveston, get out on the water to watch Galveston Island’s 20-minute firework show launched from the beach. In New Orleans, celebrate “Go 4th on the River,” where dueling barges launch rockets that are visible from both sides of the Mississippi River as well as for those on the water who move in for a close-up view of bombs bursting in the air. In Alabama, the Mobile Pops Orchestra plays the “Star Spangled Banner” and other patriotic music from Battleship Memorial Park on Mobile Bay. Panama City’s after dark flashes are among the most popular on the Panhandle. About 50,000 spectators will watch “Salute to Freedom” fireworks near Panama City Marina. Hundreds more will watch from boats anchored in St. Andrew Bay. The Tampa Bay area produces an array of colorful sky bursts, including front row anchoring on the Manatee River and Sarasota Bay for fireworks reaching above Anna Maria Island, Bradenton, Long Boat Key, and Sarasota. The Cape Coral “Red, White and Boom” festival may deserve the blue ribbon for the most boater-friendly venue. By the hundreds, boats raft up around the Cape Bridge that connects to Fort Myers. Remember, the bridge will be closed all day, so plan for other travel routes.